Where do businesses go to get insurance? SimplyInsure.ie is Ireland’s leading broker where smart business come to get their insurance needs satisfied. Whether you are a small business or a large multinational, we cater for companies of all sizes and industries. Our commercial team will assess all of your needs and put together a policy that gives complete cover. Our standard policies include protection for buildings and their contents against a range of risks such as material damage, comprehensive insurance for your commercial vehicles, financial cover against loss of business and theft of monies and stock. In addition, we offer a full liability package to ensure you meet your legal obligations. We will make the process of getting a great deal simple, giving businesses piece of mind to concentrate on what they do best for their customers. Why not make the first step now by contacting our commercial team on 1890 746 759 or arrange a callback to discuss your needs. Essential for the professions, Professional Indemnity (PI) Insurance provides cover against damages caused by a business to a third party. Such instances that come under the PI cover are acts of negligence, errors or omissions of facts or bad advice by the business which result in financial losses for a client. PI also covers your business against any legal costs that arise from defending your company against a claim. While the fundamentals of PI cover are the same for all the professions, what you are covered for is not. No two businesses are alike – which is why sound advice from an independent broker (like us) is essential before you commit to taking out a policy that could potentially be useless. As experienced commercial insurance brokers, we know how important it is for businesses to have not just the right cover, but pay the right price for it too! We can arrange for PI cover either as a stand alone policy or as part of a cost-effective commercial insurance package. No matter if you take it out on its own or have it included as part of an ‘all-in-one’ policy, rest assured your business will be well looked in the event of a PI claim and help your company keep your hard-earned reputation intact. Don’t take your company for granted – make the simple choice and come to SimplyInsure.ie for your PI cover. Given the unique nature of the professions, we suggest that you either call us on 1890 746 759 to chat with our professionals or leave a message with an outline of your business needs as well as contact details for a member of our staff to call you back and look after you. Employers Liability Insurance is a product that covers employers should they be found negligent in the event where an employee gets killed, injured or contracts an illness whilst working for an employer. Having this type of cover will pay out costs arising from any claims for compensation made by employees and the typical level of cover is €13 million for any one claim. Employees who are contacted to carry out tasks that match your business description are covered under an Employers Liability Insurance policy. Similarly, cover is also extended to apprentices as well as those on internships or work experience who are supervised by another employee of the company. Premiums vary depending on factors such as the premises, equipment as well as nature of the work being carried out by employees. As these factors differ across the board for businesses, getting a quote from us is best done by discussing your specific requirements with one of our commercial team. This allows us to get you the most appropriate cover for your business. And with our network of over 15 insurers, you can also be assured that you are getting the best price in Ireland for cover. Don’t gamble on the future of your business – make the simple choice and come to SimplyInsure.ie for great value Employers Liability cover. Call us on 1890 746 759 to talk to our commercial team today about your needs. Public Liability (PL) Insurance is one of many types of commercial insurance that can be taken out a stand alone policy or added to an ‘all-in-one’ business policy. PL cover provides cover for businesses in instances where a third party like a member of the public or a supplier sustains an injury, has their property damaged or is killed while inside your premises due to negligence. It also provides cover should you be liable for any damage caused to third party property outside of your premises. While it’s not mandatory for a business to have PL cover, it is highly recommended. This is because you would have to foot the bill should you be found negligent following a third party claim. With many settlements exceeding six figures as well as legal costs and related expenses, this could be enough to potentially put you out of business which is why we don’t recommend anyone forgoing PL insurance. In general, there are two limits to how much PL cover businesses can take out. Depending on the nature of the service carried out, businesses can either avail of cover up to €2.6 million or a higher limit of €6.5 million. These limits also include any legal fees and expenses arising from a claim. If you are unsure how much PL cover your business needs, our specialist commercial team will advise you on the correct level of cover your business should have. If you need advice (and a good quote!) on PL Insurance, we’ll be glad to help you out! Either talk to one of our team by calling 1890 746 759 or leave us a message for a call back. We’ll make the whole process simple and ensure that your business has the right cover at the right price. With the economy still struggling and money being tight, everyone is trying to reduce costs and making sacrifices to reduce costs to an absolute minimum. But cutting away from your house insurance cover just to save a bit of money could hit your finances very hard when you need it the most. An ‘easy’ way for many to beat down premiums is by insuring their home and its contents at sums for less than its actual value. For those who aren’t the best at maths – don’t worry. As we like to make things simple, we are going to explain how this works by using an example. Consider you have a property that is worth €200,000 but you decided to insure the building sums for only €150,000. You think that everything is OK – until you have to make a claim for structural damage to the home to the tune of €20,000. In this instance, being underinsured would cost you €5,000 – a big sum for anyone to have to fork out. This example really brings home the importance of having the right level of cover even if it costs that little bit more. Do you have to have House Insurance by law? By law, anybody who gets behind the wheel has to be insured. But is there an equal obligation for homeowners to take out a House Insurance policy for their property? The short answer is no. There is nothing in law to say that a property owner must take out a house insurance policy. Even so, having an insurance policy in place can be imposed as a condition for mortgage approval by lenders. With adequate cover in place, the lender knows that the borrower’s insurance policy would fund the cost of the rebuild should the home be destroyed. For this, a borrower would only need to take out buildings insurance which, together with contents insurance, forms a typical house policy. Therefore, you do not need to have contents cover on a policy while you are paying off your mortgage loan. I own my house outright – can I get rid of House Insurance? Those fortunate enough to own their home outright either by paying off their mortgage in full or buying their home without having to take out a loan have the choice to not have house insurance. That said, we highly recommend that you should have both buildings and contents cover for your property even if you are not legally obliged to. The cost of insurance is a small price to pay for peace of mind knowing that your buildings and its contents are covered against events such as accidental damage, theft and fire. Normally, the policy excess is deducted from the total settlement that a claimant receives from an insurer. This deduction covers the expense associated with assessing a claim, in particular, administration costs and paying a loss adjuster to ensure the claim is genuine. To explain how a policy excess affects a claim, let’s take a simple example. A man (we’ll call him Mr. A) has been in a car accident and is claiming for €2,000 to cover the cost of repairing damages to his vehicle. The excess on Mr. A’s car insurance policy is €250. Therefore, the sum Mr. A will receive from the insurance company when the claim is settled is not the €2,000 – but €1,750 (€2,000 minus the policy excess of €250). Each insurer has a different standard excess for each type of insurance (Car, House, Travel etc.) it offers customers. There are also higher standard excesses for certain types of claims. For example, many insurers have increased excesses for claims relating to both water damage and subsidence. There is also the option to take on a voluntary excess where policyholders agree to have a higher standard excess on the policy in exchange for a reduced insurance premium. However, the trade-off of having a voluntary excess on top of your standard excess means you will lose more from your claim settlement amount. Are you unsure of your policy excess? You can always check the excess details on any of your policies by looking at your schedule given to you by your broker or insurance company. It will also outline which types of claims are subject to higher excesses. If you are looking for further advice on the matter, feel free to get in touch with a member of our staff who will gladly answer any questions you may have. What is All Risks Cover on a House Insurance policy? As the word ‘specified’ would suggest, this is where you select specific items you wish to have insured on an All Risks basis. Common examples of what is insured as a specified risk would be valuable jewellery, engagement or wedding rings, and electrical devices such as smart phones and laptops. A written valuation must be submitted for any item insured as a Specified Risk. This ensures that you receive the amount as stated on the valuation document should a claim on that specific item have to be made. Unspecified Risks gives a broader coverage of personal effects that are worn or carried outside the house (glasses, handbags, clothing etc.) but are not insured under Specified Risk cover. A level of cover (subject to a minimum depending on the insurer) is normally taken out to cover all items that are covered as unspecified risk. However, not all effects are covered on Unspecified Risks as there are exemptions which vary from insurance company to company. So, what is the best advice when taking out all risks insurance? If you have any high-value items such as rings and laptops, we suggest you insure them as specified items. This makes sure that you have the right cover for them should you lose them or get them damaged whilst out and about. While there is an additional cost for specified cover, you can be assured that you are covered should anything happen to your specified items outside the home. If you are looking for Unspecified Risk cover, we recommend you call us up. As what it covered under this type of All Risks Cover differs among all the House Insurance companies, talking to you over the phone about what items you regularly take out of the home will help us to find you the best company for your needs. As the term ‘accidental damage’ suggests, it insures against damage caused accidentally to either the property or any of its contents which costs money to replace. In general, most insurance companies offer AD cover for buildings as standard on their policies. Adding this cover to contents, while highly recommended, is usually optional. While AD cover is very beneficial to have, insurers can differ on what they consider to be an act of ‘accidental damage’. However, most insurers will cover against events such as spilling of liquids on electrical items (computers, TV’s, appliances etc.) or on any carpets or flooring. 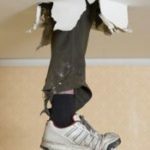 Other insurable instances include shelves collapsing and causing damage to surrounding contents, knocking over an object (say a television falling off a stand) and putting a foot through the ceiling whilst in the attic. Getting AD cover to include damage against contents comes at an extra premium but it is worth having for those unexpected and costly accidents. A contents only policy is normally taken out by those who are renting from a landlord, but it can be taken out by people who own their homes too. This form of House Insurance insures any possessions not permanently attached to the physical structure of the home. To understand what is covered as part of contents cover, imagine if you were able to take your home, take off its roof and turn it upside down. Anything that falls out of it would be covered under a contents insurance policy while any structures nailed down would need to have Buildings Insurance. Some of the typical things that should fall out would be various household goods such as domestic appliances, furniture, ornaments and personal effects. As expert insurance brokers, we recommended contents insurance for those who are renting a house or an apartment as a cost-effective means to protect their possessions from a range of risks such as accidental damage, ‘acts of God’ as well as theft (attempted or otherwise). Policyholders can also avail to insure specific valuable objects that are regularly taken out of the home, ensuring that you would be able to claim if anything happened to these items. In certain cases, contents left in exterior structures or in gardens adjoining the home. Personal belongings are very like precious memories – they build up over a lifetime. Making your place a home doesn’t come cheap. So what would you do if you lost some – or even all – of your contents due to a flood or a burglary, and couldn’t replace them due to the fact you had no cover? We may not be able to prevent such things from happening, but we can put the right cover in place to so you won’t be out of pocket when replacing contents. If you have any questions about getting a quote for contents only, ring 1890 746 759 now or leave us an e-mail with your contact details to call you back. 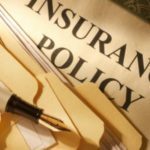 What exactly does a house insurance policy cover? When I insure my house, what cover does it actually include? Knowing what you get when taking out insurance cover for your house can prove to be more difficult than it seems. Ringing various companies and brokers is time consuming. It can also be confusing as different insurers may not be offering like-for-like products, requiring more personal research to compare which is the best quote. Understandably, you simply want the comfort of having your property and personal belongings fully covered at highly competitive premiums. We at SimplyInsure.ie have a motto which is ‘Insurance Made Simple’. We offer all our clients a full package leaving you can get on with life, safe in the knowledge that your most valuable asset is protected. Normally, policies include cover for both the physical structure as well as its internal contents. To ensure your policy has the right level of buildings cover in place, our advisors accurately calculate the rebuild cost for you. This is different to the current market value of the property which may be lower than the cost needed to reconstruct it. Ensuring this is correct is of the utmost importance when insuring any structure: if the building sums insured is not enough to cover the rebuilding bill, you will be forced cover the cost gap from your own pocket which can prove to be very costly as the principle of average clause will take effect. We insure contents for loss or damage arising from a range of events such as storms, burst pipes or flooding. Accidental damage is a benefit that we offer to all our customers when contacting us for a quote. Note that other brokers and companies do not necessarily provide accidental coverage on their policies. We don’t skimp on this benefit as we know that small accidents can happen around the house no matter how careful we try to be. You probably think that you have to pay a lot of money for such cover. You would be pleasantly surprised as our standard House Insurance product is available from only €175. What does it take for someone to get great cover? Simple, either call one of our brokers on 1890 746 759 or get a quick quote by clicking on ‘Simply Quote’ below now. The process of making a windscreen cover claim is easy, fast and hassle-free. And best of all, availing of windscreen cover does not affect your No Claims Bonus – so you won’t lose any discounts you’ve built up over the years. Cover is generally offered as standard by most insurance companies. And it’s not just the windscreen you can claim for. Windscreen cover – despite its name – is also valid for the rear window as well as the car door window. It does not, however, provide cover for wing mirrors or sunroofs. Once you’re covered, all you have to do is contact your insurer directly to book in a session to have your windscreen repaired or replaced. In many cases, there aren’t any forms to fill out and your insurance company will cover the entire cost of the repair. While each insurer has approved glass repair companies who are recommended to carry out glass repairs and replacements, you are not obliged to use them. If you choose to use a company that is not a recommended partner of your insurer, there can be limits as to how much you can claim to cover the cost of repairs. ‘Fronting’ is a term that is become more widespread in insurance. It is most often used by young and inexperienced drivers as a means to drive down the cost of getting insured. A typical example involves a parent and a child where a parent takes out a policy in their own name but names the child as a named driver on the policy. On paper, it sounds great. As a young driver, the cost of the premium is much reduced thanks to putting on an experienced driver as the main proposer on the policy even though the named driver is in reality the main driver. You may think you have ‘beat the system’ but if you end up having to make a claim, you may find that the insurance company may not honour it if it sees that ‘fronting’ has taken place. Fronting also stops the named driver from building up a No Claims Bonus which can only be earned when you are the main proposer. While you earn Named Driving Experience for each year you remain claims-free on another person’s policy, the discounts given for Named Driving Experience are not as good as those for a No Claims Bonus. There is no quick fix for young and inexperienced drivers. The simple fact is that you will have to pay more than someone who has worked up several years claims-free driving experience. By taking the hit on a higher premium now, you will see the benefit in future years when premiums begin to drop as a result of building up a No Claims Discount. As specialists in young drivers, we can offer the most competitive premiums for those who are making the often expensive decision to start driving. See how much we can save on your first insurance policy – call our expert team on 1890 746 759 or leave a message for a callback. What is ‘Open Driving’ on a car insurance policy? For a small cost, you can have ‘Open Driving’ added onto your car insurance policy. It allows other people with full, clean licences between the ages of 25 and 70 to drive your car while the policy is in force. There are two key advantages to having ‘Open Driving’ on your policy. Firstly, you won’t have the bother of putting named drivers on your policy, especially if you are only going to have someone drive your car on a one-off for a few days. There’s no hassle with calling up your insurer to add a driver onto your policy – just simply leave them drive your car away! What’s even better for anyone that drives your car while you have ‘Open Driving’ is that they will have the same level of cover as you do. For example, if you have Full Comprehensive insurance, any other driver who drives your car will also be insured on Fully Comprehensive terms like you. This is unlike most insurance policies that would allow other drivers to drive your car, but without open driving cover, they would only have basic third party only cover. If you are looking to have ‘Open Driving’ added to your policy, check the fine print with whomever you take out cover as each insurer has certain restrictions on driver eligibility. Such limits could relate to not having convictions or being claims-free for a minimum number of years or not have above a set number of penalty points. Is there much of a discount with a no claims bonus? For drivers, building up a no claims bonus is the best way to get a discount on the cost of car insurance – but how much do you really get off your premium? Well, it mainly depends on how many years No Claims Bonus (NCB) you have worked up by not claiming on your policy. Typically, a driver receives a year’s NCB provided they do not make a claim during the whole 12 month insurance period. Each year that is built up equates to a 10% discount. For example, if you have a NCB of 4 years, that means you are entitled to a discount of 40% off your premium from your insurer when you renew cover. Of course, there is a limit as to how much No Claims Bonus you can use. Most insurance companies in Ireland will only allow a maximum 50% discount for your No Claims Bonus – even if you have earned far more than 5 years bonus. However, there are some insurers (who are available through us) who offer discounts of up to 75% for people who have over worked up more than 5 years NCB. 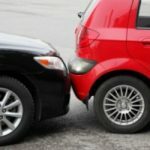 While you can use your earned NCB to get discounts as long as you avoid making a claim, you can protect your NCB by either taking out Step-Back or Full No Claims Bonus Protection, both of which will stop you from losing all of your NCB should you be unfortunate enough to have to make a claim. ‘Driving other cars’ cover is a policy extension which allows you as a main driver on an insurance policy to drive another person’s car once the car is not owned or rented by you and is not a owned by a business. This extension should not be confused with ‘Open Driving’ – a benefit which you can add to a policy which allows other people to drive your vehicle. There is normally no extra charge for this and is added as standard to most insurance policies. The fact that it is generally offered as standard often means that every driver is under the impression that they are insured to drive other cars. But this isn’t always case – there are some exceptions where the ‘driving other cars’ extension is not applied to policies. For example, some insurers do not give the extension to those under a certain age normally 25 years or to those that only have driving permits or provisional licences. If you have already taken out a policy but are unsure if you have this extension or not, get your policy schedule provided to you by your insurer. Among the particulars, it will show if you have ‘driving other cars’ as part of your cover. For those with the extension, take into account that you would only have third party only cover and does not apply to any named drivers on your policy. 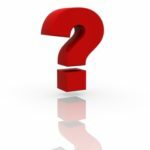 How do you apply for a learner permit in Ireland? If you want to start driving for the first time, you must first obtain a learner permit which is processed and issued by your local Motor Taxation Office (click here for an up-to-date list to find your nearest Tax Office). Each permit costs €35 (for those under 70 years of age) and is valid for two years from the date it is issued to the applicant. We have provided links where you can download all relevant forms which will save you an unnecessary trip to your Local Tax Office (Note that the RSA recommend that you print the Medical Report Form back to back). When you have all the above documents ready, all you have to do is submit them in to your nearest Tax Office where they will process your application and submit a licence to you via post within a few weeks. However, if you want to find out how long it will take for you to receive your learner permit in the post, we suggest you ask a member of staff in the Tax Office when handing in all documentation as processing timeframes can vary from centre to centre. Can I insure a car that I don’t own? Unfortunately, a driver who is not named as the owner on a car’s Vehicle Registration Certificate or Vehicle Licensing Certificate will not be able to take out a Car Insurance policy on that car. However, if you, as a driver, want to be insured to drive a car you don’t own, you can be put on the owner’s policy as a named driver. 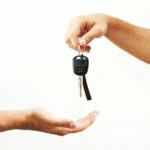 This ensures that you are will be insured whenever they drive the owner’s vehicle. If being a named driver does not suit, the only other option is for the person looking to be insured to have the ownership of the vehicle transferred to their own name. This will require both the owner and the person looking for insurance to complete the ‘Change of Ownership’ section on the Vehicle Registration Certificate (or Part B of the Vehicle Licensing Certificate for cars that have been owned prior to April 2004). When completed send it to the Driver and Vehicle Licensing Computer Services Division (DVCSD) of the Department of Transport, Tourism and Sport who will then issue you a new Vehicle Registration Certificate with you as the named owner which will then allow you to insure the car under your own name. 1. Before anything else – keep calm! The first thing to remember is to not panic – keep calm at all times after the accident has happened. Keeping calm will be to the benefit of everybody involved in the accident and will also help you to reconstruct the entire event in your head so that you can inform your insurer of the accident. Make sure that you and other people such as your passengers and the other driver and passengers are not injured. If someone has sustained an injury, contact the emergency services immediately while providing as much details as you can about the accident. If necessary, move your vehicles to a safer location such as the road side. If there have been eyewitnesses, get their contact details from them. At this stage, we strongly suggest that you do not admit liability for the accident– even if the accident was your fault. After you have given all necessary details to the other party, take the opportunity there and then to make notes of the damage sustained to the vehicle. You should also draw a sketch of the accident location and include approximate road measurements as well as any road markings, signs and traffic lights. This is advised as you will be asked to outline as much detail as possible by filling out an accident report form for your insurer. When you have made your accident notes and taken all information as recommended above, you must notify your insurance company or your broker straight away to inform them you have been involved in an accident. As a broker, you can always contact us first to report an accident. However, if the accident happens outside of work hours, you can contact your insurer direct who will have a 24 hour accident helpline and simply inform us or your broker the next working day. When you have reported the incident, you will be sent an accident report form which must be completed and returned within 30 days from the date of the accident being reported. When you have submitted the form within the allowed time frame, it will then be investigated and you will then be informed who was responsible for the car accident as well as the next steps that must be taken. What is a letter of Named Driving Experience? Similar to a driver earning a No Claims Bonus on their own policy, named drivers can also earn what is called a letter of Named Driving Experience (NDE). The letter outlines key information about the driving history of a named driver such as the amount of years they have stayed claims-free or if they ever been involved in an accident or made a claim. This letter is issued to the main driver’s address several weeks before the policy’s renewal date. If you want to claim for all your NDE, you will have to produce a letter from each insurance company you have ever been with as a named driver. So, if you have been with, say, two insurance companies for two years, you will have to submit letters that were received from those two insurers. The NDE can be used to either reduce the overall cost of being insured as a named driver for another policyholder. It should be noted that, unlike a No Claims Bonus, NDE cannot be protected. Therefore, if you have a claim as a named driver, you’ll lose all of your NDE discounts. Alternatively, it can be used to get a discount should a named driver decide to buy their own car. In the latter case, NDE can be converted into a No Claims Bonus which only policyholders can accumulate. Doing this can save a lot of money especially if the named driver is buying a car for the first time as the premium would be a lot more if the driver had no proof of experience at all. While ‘step back’ bonus protection prevents drivers from losing all of their no claims discount following a claim, there is the option to have your no claims discount fully protected. Once a minimum of 5 years no claims discount (deemed the ‘maximum’ amount you can work up by most insurers) has been earned through good driving, you can choose to have your no claims discount fully protected. This would mean that if you had to make a claim or have a claim against you, you won’t lose any of your built up no claims discount. There’s no doubting that full protection great to have, but it is important to be aware that the benefit is not the same with all insurers. For example, some insurers may have a set claims amount limit, have exclusions for certain types of claims or there could be a limit to the amount of claims that can be made in a certain period. Normally, a driver would be allowed to make two claims within three years before, but this is not the same for all insurers. In cases where these criteria are exceeded, an insurer could apply the ‘step back’ terms meaning you would lose some of your no claims discount. If you are not a customer of ours, have a look at your policy document to get an idea of what you are covered for as well as exclusions set by your current insurer. Despite this, we highly recommend drivers to have full no claims bonus protection added on to their policies. It only costs around 10% of the premium and provides broader protection that ‘step back’ cover. As brokers, we’ll also go through what each of our 15 insurance companies offer as standard on their full NCB protection as well so there’s no nasty surprises when you don’t need it! What is Step back no claims bonus protection? As consumers, you may notice car insurance companies go on about offering step back no claims bonus protection as a benefit in their ads. There’s no denying it sounds great, but what exactly is it? Earlier, we discussed about how a No Claims Bonus (NCB) works and how building one up saves you money as a driver. The good thing for you is that you can protect your hard-earned NCB even if a claim is made against you for an accident that was your fault. Basically, there two types of NCB protection: step back and full. Today, we’re going to talk about step back no claims bonus protection. So, what exactly is step back bonus protection? Having step back protection on your car policy will prevent you from losing all of your No Claims Bonus if you have to make a claim or if another driver makes a claim against you. If you had no protection and had to claim, you would lose all of your NCB that you had earned over the years. But with step back protection, the amount of no claims would ‘step back’ to a lower percentage. The amount that is lost depends on the insurance company that you are with. Most insurers would have a ‘step back’ rate of 30% (or 3 years lost) on a no claims discount while others apply a lower deduction of just 20% (or 2 years lost). To give a simple example: let’s say you worked up a no claims discount of 50% and you had the misfortune of having to make a claim. Depending on your insurer, your no claims discount could drop to as low as 20% after the claim has been settled. While you would still have to pay more when your insurance is up for renewal, having step back bonus protection prevents you from losing all of your no claims discount which would have resulted in paying even more again for cover. And it’s for this reason why we recommend that you have this on your car insurance policy at a minimum. The good news, though, is that step back bonus protection is normally offered as standard on most insurers’ fully comprehensive policies. What is a No Claims Bonus (NCB) and how can it save you money? An NCB is a form of discount that reduces your car insurance premium at renewal. The discount rewarded is based on the number of years since a claim was made either by or against the policyholder. Before your renewal date, your current insurer posts you out a document declaring how much NCB you have earned up to the date of renewal. If you choose to switch insurance company (say to us! ), you will have to submit this original document in order to avail of the NCB discount. You can also change your car and still retain the discount on your policy. For every year you remain claims free, you receive a 10% discount on the price of car insurance. The most no claims discount insurers generally allow to policyholders is five years (50%). So even if you have 15 or 20 years NCB, you will still just get a 50% discount. However, some of our insurance companies award discounts of up to 65% if you’ve gone more than 5 years without having to make a claim. Although only policy holders can earn an NCB, it is possible for those who have earned Named Driving Experience (NDE) as a named driver on another policy to get discounts on a policy in their own name. To do this, you will need to get a letter from the insurance company with whom you were insured as a named driver. The document should state that you were a named driver and that you did not make a claim. However, not all insurers allow NDE to be converted into NCB for the purposes of awarding discounts. Does your car insurance cover against theft? It’s every driver’s worst nightmare to be the victim of car theft. While you can never prepare for such an event, having insurance against the financial loss of losing your vehicle provides piece of mind. But is cover against theft included as standard on all policies? The answer depends on the type of cover you take out when getting car insurance. Cover against theft is included as standard on all Fully Comprehensive and Third Party, Fire and Theft policies. On the other hand, you would not be covered for acts of theft should you only take out a basic Third Party Only policy. Considering a recent poll revealed that only 4% of drivers have Third Party Only cover, the odds are pretty good that you are sufficient cover in place should you ever need it. So, what should you do if you’re the victim of theft? When you realise your car is gone, it is imperative to report the theft to your nearest Garda station as well as to your insurer’s claims department immediately. If you do not declare your vehicle stolen to the Garda Síochána as soon as possible, your insurance claim to recoup any financial losses arising from the theft may not be honoured. Following your report of the Garda, they will issue you with written documentation relating to the theft which must then be given to your insurer who in turn begins the claims process should the car not be recovered. What does Third Party Only Insurance cover? If you have a high value vehicle, we suggest considering better cover such as Third Party, Fire and Theft (TPFT) or Comprehensive Car Insurance – both of which provide cover for the above mentioned situations albeit at a slightly higher cost. What is Third Party, Fire and Theft (TPFT) Cover? So what exactly do you get when you take out a Third Party, Fire and Theft (TPFT) policy? But unlike a TP policy, any person with TPFT Cover will also be able to claim for loss or damage to your own car or any accessories within as a result of fire (arson, self-ignition etc.) or theft (attempted or otherwise) – provided you are not at fault. We recommend this type of policy for those who drive a low-value car or young drivers beginning to drive for the very first time. This is simply because it is cheaper than fully comprehensive cover but at the same time offers broader cover than a basic TP policy. While TPFT cover is not as broad as Comprehensive Car Insurance, you can add extra benefits onto a TPFT policy such as Windscreen Cover at a nominal cost. Read our comprehensive review on comprehensive car insurance! At SimplyInsure.ie, we like to make insurance simple for everybody. So that’s why we are compiling an ‘FAQ’ over time which will explain various aspects of insurance in plain, easy-to-read language. To get the ball rolling, let’s start with talking about ‘comprehensive car insurance’. While the vast majority of drivers are familiar with this term, it can be unclear what cover an insured person gets when they take out a fully comprehensive car insurance policy? As the word ‘comprehensive’ suggests, a fully comprehensive policy gives those insured the highest level of cover that anyone can get. While this type of car insurance is typically more expensive than Third Party, Fire and Theft (TPFT) and Third Party (TP) cover, it offers better value-for-money cover, offering far more benefits than TPFT and TP policies. – Third Party Liability – provides cover should you be responsible for injury or death to other people or damage to the property of others. However, there are some insurers who offer nice little extras on comprehensive car insurance. For example, one of our insurers gives DAS Motor Legal Protection as standard on all their fully comprehensive policies. This product offers cover not included on a standard comprehensive policy like Personal Injury cover and legal fees cover arising from legal action taken against you.